Facebook in the classroom: How can we effectively use social media to teach? I’ve talked about facebook in the classroom before, as a way to provide funny snipets of history from historical figures. I wanted to try to find a way to integrate the social media that students (and myself!) use on an almost every day basis into the classroom as a teaching/learning tool. 1. Chose a historical figure that we have studied or a person from one of the civilizations we have covered in this class. 2. Create a profile page for this character. 3. The next page has a checklist of all the information that must be included. Use this sheet to complete your research before you begin constructing the page and finding pictures. Make sure you check off each item as you do it to get full credit! 4. This page does not literally have to be an online account. You can produce a mock-up through Word, Photoshop, Powerpoint, or with magic markers or colored pencils depending on your level of creativity. Chose the one you like best, but make sure you can print it in its entirety to turn in! Download the forms and fill in with your own information. 5. This assignment does require research. You may use your textbook or other academic books. 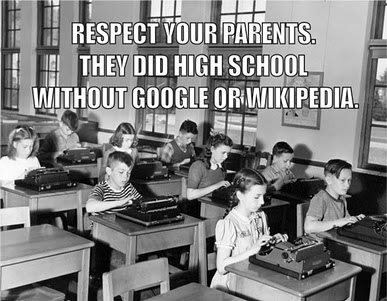 You may go online to find information, but please remember that WIKIPEDIA IS NOT A VALID SOURCE. NEITHER ARE NON-ACADEMIC WEBPAGES. If you are unclear on what an “academic webpage” is email me. Use websites with .edu or.gov for valid information. 6. You must, as always, properly cite your sources and include a works cited page. I prefer footnotes for this assignment since it needs to be aesthetically pleasing. Since this assignment requires more research I expect your citations to be correct. If you have questions, email me or visit the writing center. 7. To get full credit you must have information for every category listed below. This may require you to be creative but also be historically accurate. Prepare a presentation for the class on your historical figure, your page, and your process of creating this page for an extra point. Create an actual facebook page published using the information you have compiled here. Since this was an optional homework assignment for extra credit it did involve a lot more work and research than previous projects. I wasn’t sure how students would react, or how many would take the time and effort to fully develop the assignment. Unfortunately, I didn’t have as many students participate in this as I would have liked! In the future I hope to make this a required homework assignment instead of extra credit. One creative idea was to do a page for Cleopatra using the Shakespearean play for the wall facts and conversations among the Pharaoh and her lovers. I also had another Cleopatra, Achilles, and Jesus. Surprisingly, they all love watching Ancient Aliens! Clever, students. Very clever. Achilles’ page was great. He has some pretty awesome lines; his last status update was, “taking a dip in the Styx River!” This was after he met with Homer to give him some info on the Illiad and complained that Lycomedes made him dress like a girl. His interests include working out, sailing, and traveling, while his favorite movies are 300 and Antigone. Also, for all you Achilles stalkers, he lives at 1345 Hellenistic Drive, Athens, Greece. My second Cleopatra got very creative, as well. Her last status was, “…will not let Rome control me! My Antony is dead and I can not live without him!” dated 30 B.C.E. Her relationship is “It’s complicated” with Julius Caesar. Her statuses also complain about having to marry her brother Ptolemy XIII, but she is quite happy to take the throne and rule Egypt. She also talks about running off to learn Egyptian language and culture to try to gain respect of Egyptians. Her favorite music includes the sistrum and Walk Like an Egyptian, and she enjoys watching the Style network. And for any Cleopatra stalkers, you can email her at isislover@ptolemy.com Her political view is divine rule, and she included several pictures of herself on her facebook page. She included photos from Egyptian papyrus, Renaissance paintings, 1920s film, Elizabeth Taylor as Cleopatra, Kim Kardashian as Cleopatra, Angelina Jolie as Cleopatra, and also a Greek bust and a coin that may show the “real” Cleopatra. Another album was also posted of herself and her Ptolemy family members. My students used (for the most part) valid educational websites or books for this research project. It seems that they enjoyed themselves and the opportunity to be creative in a history class, which may not always be the case. It also seems that the students learned quite a bit from this project. Not only did students learn a lot about a specific person from history (or mythology), but they also learned a lot about creative thinking, the historical context and the world of that person, and how to do proper research and citations. Have any of you used Facebook in the classroom, or other social media? How can it be used effectively? I encourage you to try this with your students either as an extra credit assignment or as an alternative homework assignment. I believe in my future classes it will be a very beneficial learning tool. ← What can you learn from watching History’s “Ancient Aliens”?